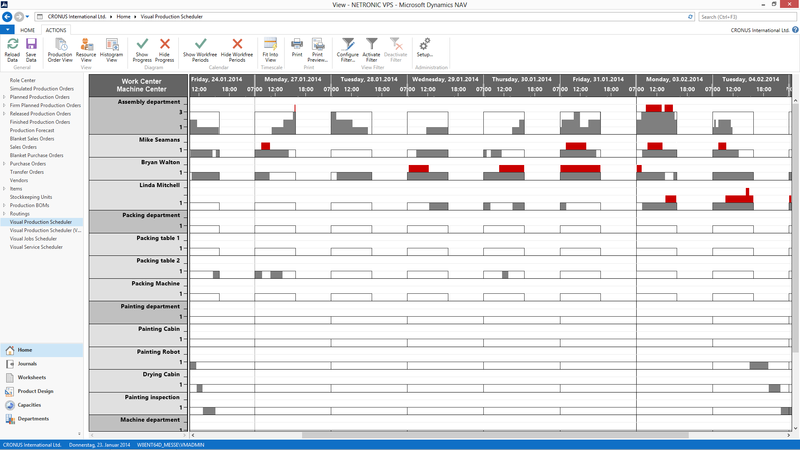 The purpose of visual production scheduling for Microsoft Dynamics NAV is to enable manufacturing users to better understand the production schedule, constraints and capacities. This helps them manage production orders, operations, items, material and capacities so that delivery time commitments can be met and capacity conflicts are avoided. Following the thought that a visual scheduling solution should best be based on the unchanged NAV standard (e.g. 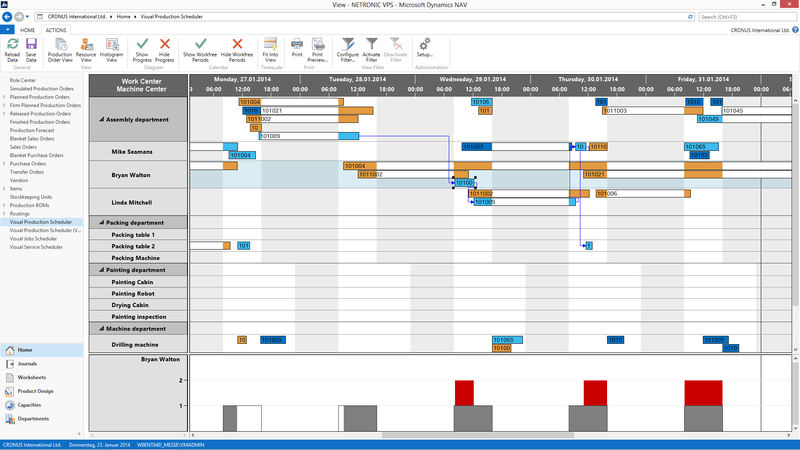 due to speed-of-implementation and ease-of-upgrade reasons), a visual production scheduler always should work on the results of the standard NAV material requirements planning (MRP) process. These results should be visualized in an intelligent way so that users quickly see issues with the schedule, and can take corrective actions immediately. In this blog post we explain why we recommend 4 different views on the same data to provide the production planner in NAV with a first class drag & drop scheduling solution. 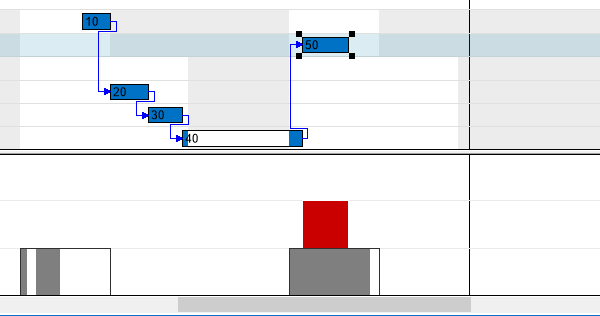 If I shift a production order - what is the consequence for its´ delivery date and will the shift have an impact on the delivery dates of the other planned orders? Do I have sufficient material in stock to start working on the production order earlier? In which work and machine centers do I have capacity issues, and which work and machines could help balancing the workload? A production order view should enable users to answer delivery date-related questions. It shows data by production order status, production order/ production order line number and works with symbols to visualize delivery dates. In addition to this, the user should be able to drill into specific production orders, and understand their routing and the work and machine centers that are scheduled to complete this specific production order. This overview will also provide information if the production order already is on a kind of “critical path” or if the associated work and machines still have some “buffer” to cope with potential delays in preceding operations. The below screenshot illustrates such a production order view. A typical scenario when working with data in the above shown production order view is a drag & drop rescheduling of the operations by moving them right (later start date) or left (earlier start date). While the first movement should trigger an automatic visual warning in case the delivery time is violated, moving to the left is trickier: Starting a production order earlier is only possible if the required material, items and components either are available or can get purchased or produced in time. This is the reason why we strongly recommend complementing the production order view by a production order specific bill-of-material view as is shown below. It is just as crucial for all manufacturers to understand the capacity utilization of all work and machine centers. Hence, a visual scheduling solution should also provide a resource view that shows all manufacturing data structured by the respective capacities. It should also include some information from the production order view (e.g. coloring of the respective bars depending on the status of the production order, or visual alerts in case an operation is moved past the due date). A “histogram” – i.e. a capacity load chart – can complement a resource view e.g. by showing the capacity load and giving overload alerts for those work/ machine centers which currently have the users’ attention. Actually, these capacity load charts are a very slick representation of each work or machine center’s load. Especially plant managers or production supervisors, who not necessarily need to change the production schedule, may use a collection of these histograms as a report. This histogram view tells them at one glance, which work and machine center will face capacity issues based on the current production schedule. 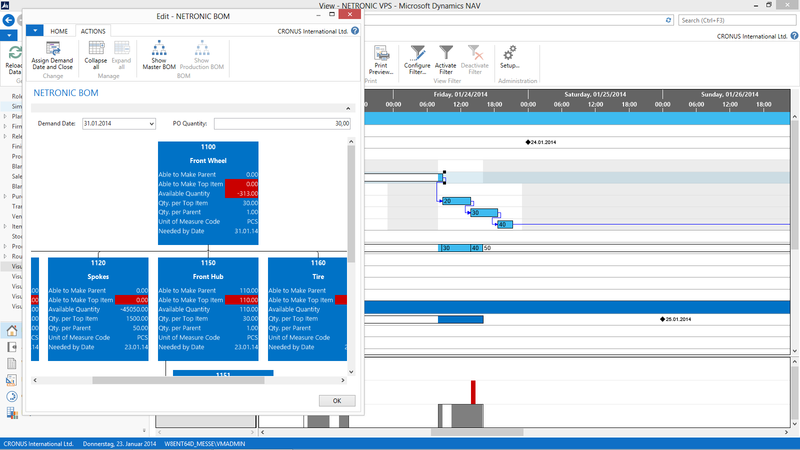 The views shown above help manufacturing users of Microsoft Dynamics NAV to better understand production orders, production order lines, operations and capacities. In these cases, the inherent drag & drop capabilities of a visual scheduling solution also enable the users to better manage the schedule. This is especially true, when the drag & drop interactions are supported by immediate visual alerts that help the users making the right (re)scheduling decisions. work with intelligent and context-sensitive visual alerts. 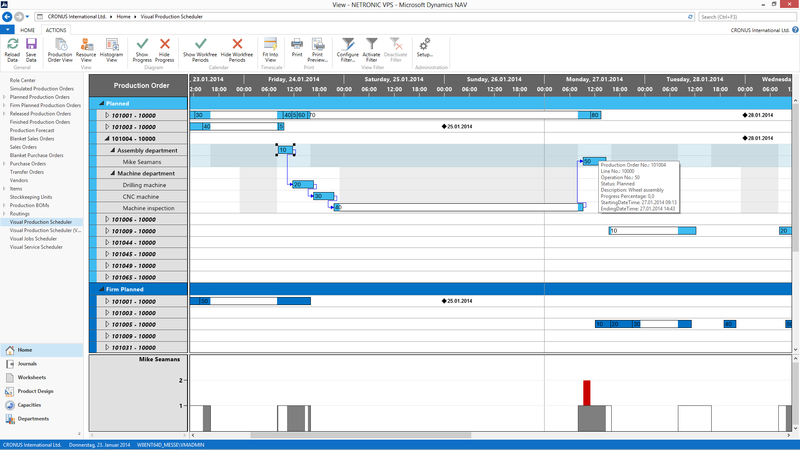 We took the above as design criteria when we developed our Visual Production Scheduler for Microsoft Dynamics NAV. 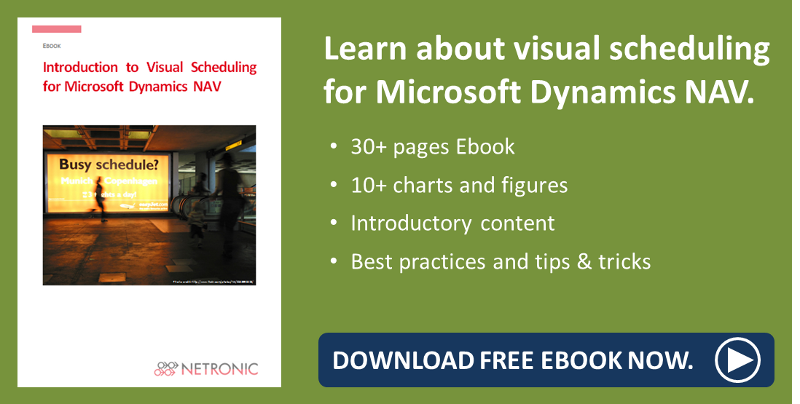 If you want to learn more about Visual Scheduling for Microsoft Dynamics NAV download our free Ebook.